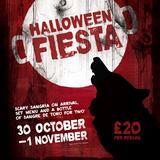 La Tasca is a chain of friendly Spanish Tapas restaurants serving some of the finest food and beers from Spain. 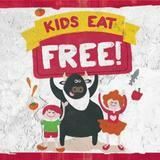 Do you work at La Tasca? 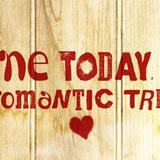 What did you think of La Tasca? 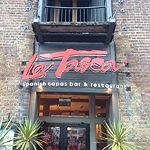 I recently went to the La Tasca Restaurant located at West India Quay in London. I planned a group birthday party there with 25 people in our group there. We book on Thursday prior. When we got there and for the duration of the night they had one waitress for our party and the rest of the restaurant. With no dedicated waitress for the group we knew mistakes were destined to happen. Throughout the night orders had to be repeated with long delays and given to the wrong people. We were told when we made the booking that we would have to use the set group menu and it would be a slight longer wait for anything outside of that. On the night there were no set menus out at La Tasca, only the regular ones, which caused initial delays. My girlfriend and I also picked the restaurant due to it's reputation with paella. Well on the night 2 paellas were ordered, one being for us and was told that would take approx 30 mins. Most people had received their meals and one of the paellas did come out, but the one for girlfriend and I was delayed 2 and half hours to only find out there had been a mistake and it would take another 30 mins. It was my girlfriend’s party and she was one of few that didn't get served on the night. We asked for 20% discount for the poor service as well as the missing or delayed meal but never recieved it. La Tasca is wicked. I like the spicy sausage and the potatoes are well nice. They do sangria as well - give your bird a jug of that and she'll be drunk in 5 minutes. Nice one La Tasca. they DO good food. It's true that it's a bit expensive but still the quality of the food is high. Tasty, traditional Spanish cuisine. But the best is "it as much as you like tapas for a tenner" every Sunday! the set menu is a bit poor but still- a great opportunity to get stuffed to edges with tiny tapas! Went here on a Monday night with 2 friends. We felt that the waitresses were keen to trick you into spending money - they recommended buying a bottle of Cava for £15, then we were asked if we'd like bread and olives to start with - which would be free in any spanish bar/restaurant, but found they were £3 on the menu! When we ordered a selection of tapas, each costing about £4.50, the portions were very small, especially the prawns of which we were given 3 small ones and a tiny blob of sauce. Also, we ordered 'braed with olive oil' - just got about 5 very thin slices of dry stale bland french stick, and assumed the 'olive oil' it came with was the stuff already on the table. - Another example of them trying to make you feel you're getting something extra! The food itself was very tasty, although the summer salad was pretty bland and boring. We were also given absolutely teeny weeny plates which were just ridiculous to eat off - the small portions of tapas that arrived were actually on larger plates than ours. Overall we felt it was a rip off for the quantity of food and the way we were treated. La Tasca boasts a truly Spanish experience without the need of leaving Canary Wharf. Truth is, it is a pale and tasteless imitation of the vibrant culinary tradition of Spain. This Spanish-themed restaurant is one of the many venues located at West India Quay, a couple of minutes walk from the DLR station. It benefits from a very convenient location, and (when it is not too windy!) the outdoor terrace has a truly enjoyable view over the canal and Canary Wharf skyline. The venue is quite big, and the decor - if you like the style - is warm and lively, with hand painted tiles, Spanish-inspired decorations and large iron chandeliers all over the place. The place gets packed quickly in the early evening with a merged clientele of professionals in suit and shoppers. 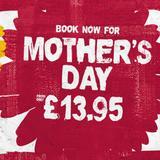 Staff are friendly and accommodating, trying hard to upsell nibbles, starters and drinks. This can make the service a little unnatural but it is, overall, efficient. The main part of the menu is obviously dedicated to tapas with prices that range from £3 to £4 for vegetarian dishes to over £5 for large fish and meat tapas. Starters include traditional cured meats and cheese. Paellas are around £20. As a starter, the berenjenas fritas (fried aubergine, £3.45) are thin cut, crispy though a bit too oily; the blue cheese sauce that comes with it is a good match, even if that doesn' t seem to be a particularly creative (or Spanish!) recipe. So far, so good. But here comes the main course... The chef's selection of tapas for two (£29.95) comes in individual small plates which create a colourful pattern once they are all laid on the table. Unfortunately, as soon as you have the first mouthful you realize that you are as far from Spain as you have ever been. The baked aubergine comes in a plain tomato sauce (rather than with garlic and wine, according to description) that strangely tastes just like the meatballs and patatas bravas sauces. An extra note about the potatoes - not only they are spiceless, but they are also shamely undercooked. The seafood paella comes with chicken (two pieces) and mussels (two), rock-hard peas and a handful of rather dry rice. The ensalada de la casa is a quite pleasant yet boring mix of leaves, avocado, pine nuts and peppers and the prawn dish is the only positive note. To drink, as recommended by the waiter, the white Rioja Faustino VII is pale coloured, dry and tangy. The wine list could be worth further exploring and they serve sangria in characteristic jars. There’s a good selection of bottled beers and Spanish San Miguel is served on draught. Unfortunately, the dishes turn out to be so different from what you might expect by reading the menu that they’re a harsh disappointment to the palate. Overall, a cheap imitation of traditional tapas that no one who loves genuine Spanish food could eat and be happy about.